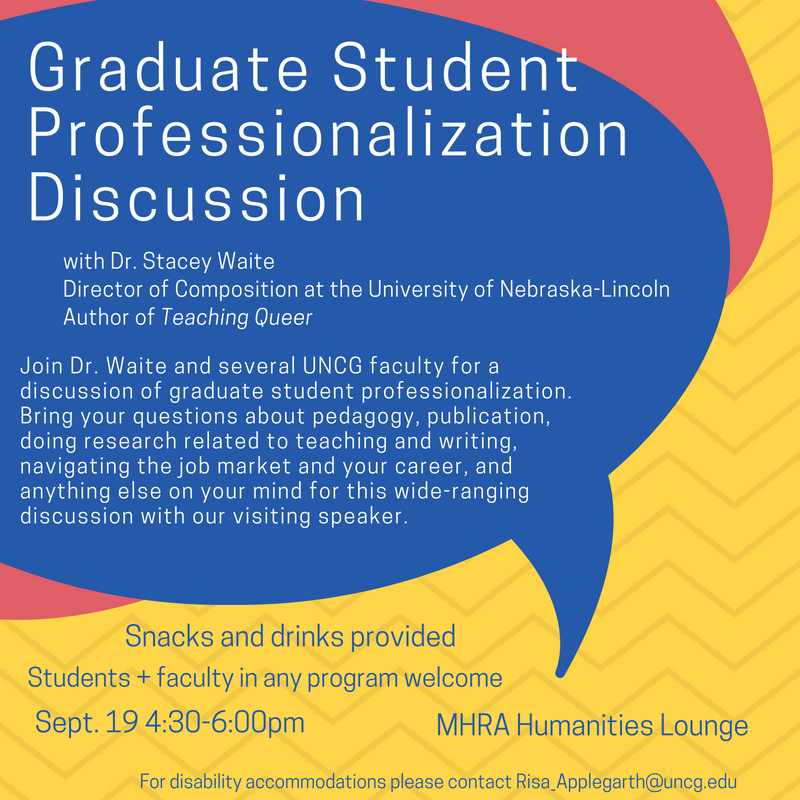 Join Dr. Stacey Waite and other UNCG faculty on Tuesday, September 19th from 4:30pm to 6pm in MHRA Lounge for a discussion of graduate student professionalization. Dr. Waite is the Director of Composition at the University of Nebraska-Lincoln and the author of Teaching Queer. Bring your questions about pedagogy, publication, research related to teaching and writing, navigating the job market and your career. All UNCG students and faculty welcome!